– All doors and hatches are individually lockable. All fittings and locks are made of high-gloss chromium-plated brass. 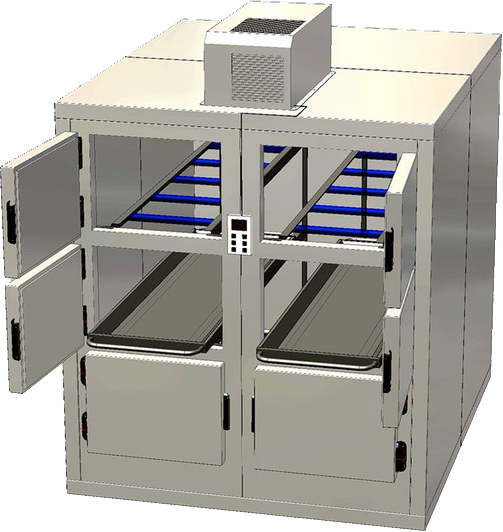 – Multiple tiers doors morgue refrigerators are designed with individual doors. 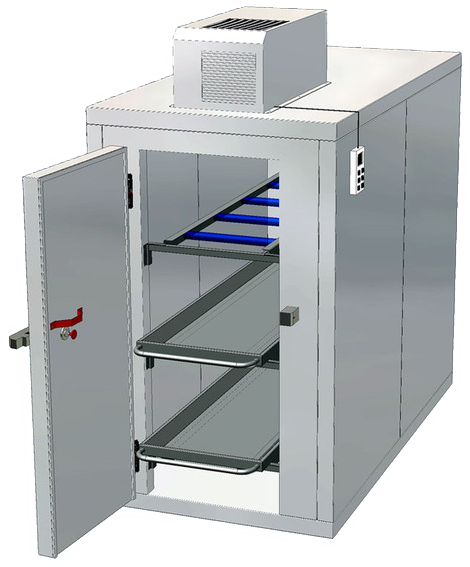 – Side opening morgue refrigerators are designed with individual doors. A conveyor or telescope mechanism fully supports the body tray. When the door is open the body tray and cadaver are displayed in full side view. 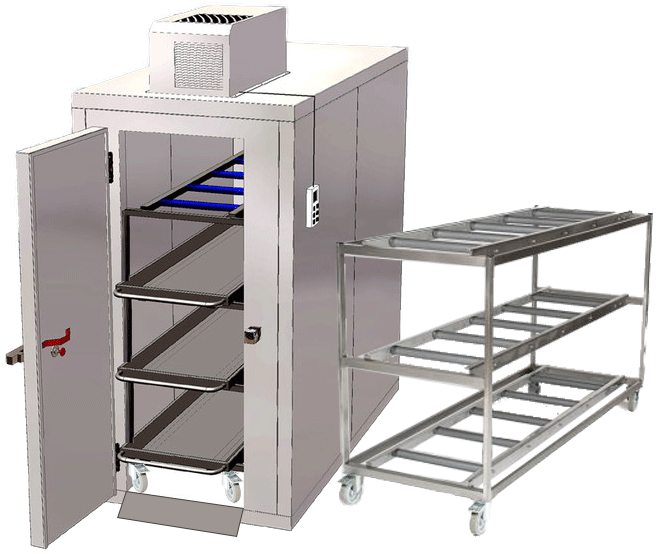 – Multiple tiers doors morgue refrigerators are designed with individual doors. 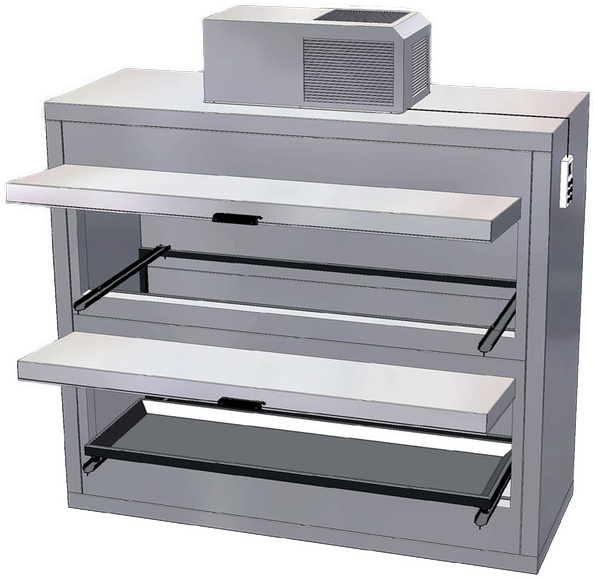 A mobile rack mechanism fully supports the body tray. When the door is open the body can be pulled out with the full racking system.